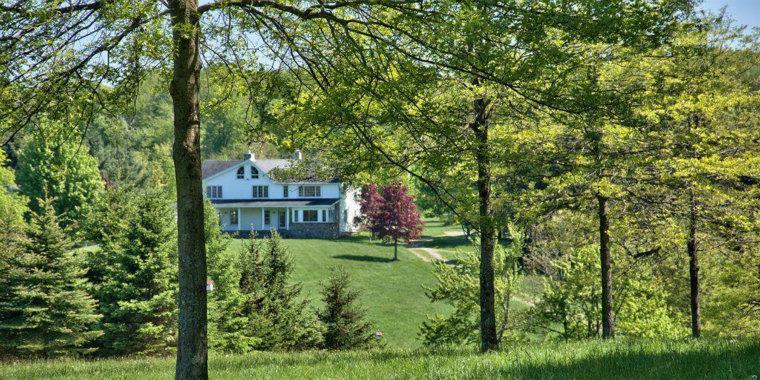 Spruce Hollow Farms is a pristine 220 acre property in the heart of the Pocono Mountains. This magnificent getaway is only two hours from New York City and Philadelphia and offers the perfect country retreat. This idyllic setting with its private 3-acre lake, pond, woodlands and rolling hills is the perfect escape from busy City life. There is plenty of space to enjoy family and friends in the gorgeous 4,300 square foot renovated farm house, originally dating back to the mid 1800's with spaciousentertaining rooms as well as 5 bedrooms and 4 full baths, plus terraces and covered porches. If you have horses or farm animals bring them too. There is a barn with fenced pastures and multiple outbuildings. Annual taxes on this incredible property are only $7,500. Call today for a private viewing.